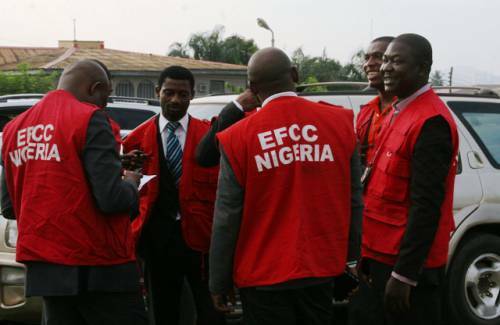 The Economic and Financial Crimes Commission, Lagos Zonal office, has arrested one Michael Obasuyi, Managing Director, Platinum Multi-purpose Cooperative Society Limited, for alleged offences bordering on conspiracy, cybercrime and money laundering to the tune of N 11, 498,944,038.29. Mr Obasuyi, who is also the Managing Director of Smartmicro Systems Limited, had written a petition in March 2018 to the commission against a company, a mobile and electronic payment provider. However, in what may be described as a dramatic twist, the company had also written a counter-petition against Smartmicro and Mr Obasuyi, thereby leading the commission to begin investigations into the activities of Mr Obasuyi. However, the company further alleged that the bank, sometime in March 2018, revealed that the settlement account was in debit of N11, 498,944,038.29. Mr Obasuyi, in his statement to the commission, confessed to have committed the crime, stating that he created fraudulent and imaginary monies through the aid of Fundgate financial application from the company. The commission, in the course of investigation, has recovered a paper version of the programme called MicroSwitchServer1, which he allegedly used to create and post the imaginary monies. The commission has so far recovered N2.9 billion, $37,992 and €18,538 found in Mr Obasuyi’s accounts in various banks in the country. Also, a total of 20 properties located in various parts of Edo, Rivers, Lagos and Abuja, worth several millions of Naira, have been traced to Mr Obasuyi, which were allegedly acquired with proceeds of crime. Mr Obasuyi, who also admitted to have purchased 134 buses from the proceeds of crime, runs the popular Platinum Cruise Transport Company. He will soon be charged to court as soon as investigations are concluded.